Have you eaten mixed grains? If you haven’t, I exhort you to try. I guarantee you’ll love their complex but interesting texture and flavors. Not only that. You’ll enjoy the multi benefits from eating different types of whole grains. I’ve been eating a staple of mixed grain rice or porridge since last year. I started out purchasing ready packs of mixed or multigrains from the supermarket. But I wasn’t too happy with the source and decided to mix my own. It definitely costs more since I’ve to buy different packets of grains. But mixing my own means I can choose those grains that yield the most benefits or are the tastiest. Plus, I don’t have to eat the white rice that are usually added to the supply of ready packed mixed grains. Why eat mixed whole grains? Plus it comes with a higher glycemic index (GI). This means eating white rice raise blood sugar levels fast and high. That causes inflammation which is not good news if you want to have healthier skin. So if not white rice, what are the other grains that can make a substantial and delicious staple in our Asian context? Well lots. You can eat brown rice that I’d often blogged about. You can also eat black rice which I featured recently. The thing is, these grains when eaten on their own, aren’t as tasty as white rice. I suppose this is why they are less popular even though many know them to be healthier. Like I can’t eat black rice all the time. It’s a bit hard to chew and it certainly has a distinct, nutty fragrance that takes some getting use to. 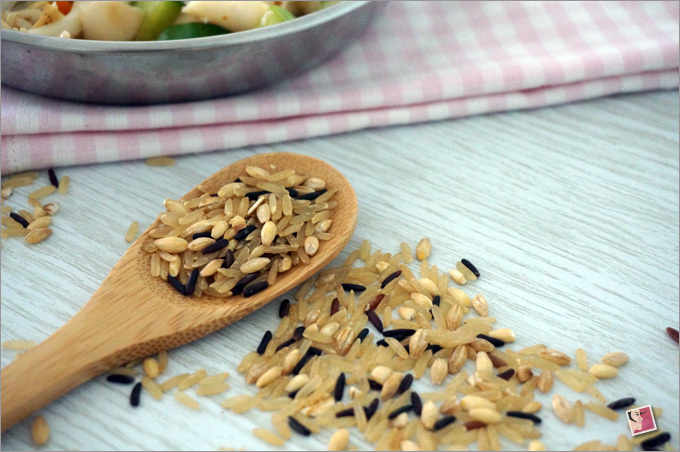 Even brown rice can get less palatable when eaten often. With mix grains, you’re not eating just one type of whole grain but various. The texture and flavors become more interesting and trust me, they are so much tastier! Also, whole grains are a lot healthier because they contain all the essential parts and naturally-occurring nutrients of the entire grain seed in their original proportions. If the grain has been processed (e.g., cracked, crushed, rolled, extruded, and/or cooked), the food product should deliver the same rich balance of nutrients that are found in the original grain seed (source). So what’s a good mixed whole grain combination? Any variety can be considered as brown rice as long as it has been partially hulled to keep the bran or germ that covers the kernel. It is chewier than white rice. I remember eating lots of brown rice when I was going through a season of detox because it contains lots of fiber. Fiber also helps out by keeping blood sugar levels under control, which translate to lower inflammation. On top of that, brown rice is also an excellent source of manganese, and a good source of selenium, phosphorus, copper, magnesium, and niacin (vitamin B3). 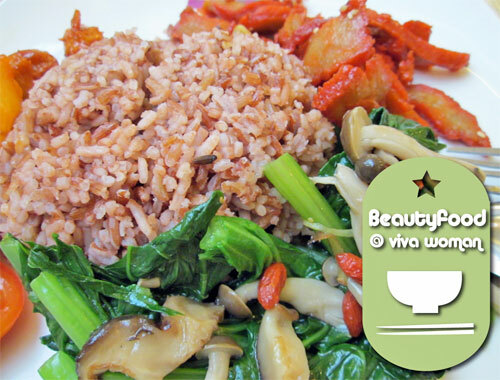 Red rice, also called Chinese red yeast rice, is derived from yeast (Monascuu purpureus) grown on rice. They are partially hulled or unhulled rice that have red husks. I haven’t eaten rice rice on its own but I understand they areÂ rich in fiber, iron, zinc, B vitamins and even calcium. I wrote about my experience with black rice recently. It is also known as forbidden rice. Black rice has 18 amino acids, minerals and vitamins like copper, iron, zinc and carotene. ItÂ is superior as compared to other types of rice is because it is unrefined whole grain that retains all antioxidants, vitamins, minerals, and fiber. In addition, black rice is the only variety of rice containing a high level of anthocyaninâ€“higher thanÂ brown rice, red rice, red quinoa, and other colored whole grain varieties.Â ItÂ also includes essential antioxidant vitamin E, that is beneficial to maintaining eye, skin, and immune health along with other essential functions. Pearl barleyÂ isÂ barleyÂ that has been processed to remove itsÂ hullÂ andÂ bran. It is a very good source of molybdenum, manganese, dietary fiber, and selenium, and a good source of copper, vitamin B1, chromium, phosphorus, and magnesium. Although this is not rice, it can replace white rice as a healthier alternative. Oats, known scientifically as Avena sativa, need little introduction. Because their bran and germ are intact, oatsÂ are an excellent source of manganese, molybdenum, phosphorus, copper,Â biotin,Â magnesium, dietary fiber, chromium,Â zinc, selenium, and protein. Again, this isn’t rice but it’s grains you can add with the others. I don’t add a lot of oats into my mix. If you like them, you can add more but I usually just add a handful. 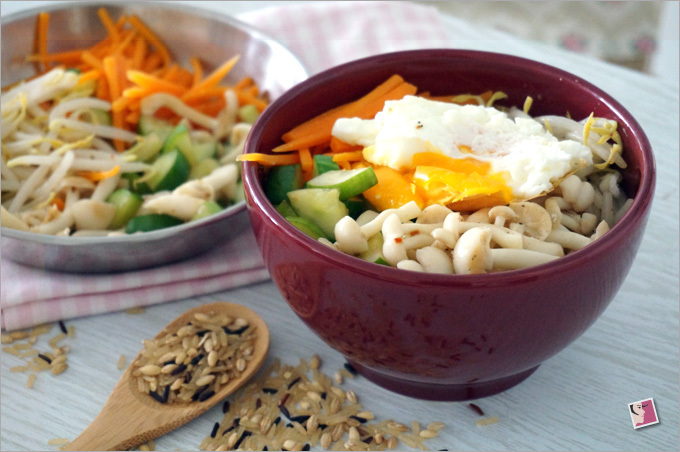 Recently, I started making the Korean bibimbap using mixed grain rice and it’s so delish. I will share the recipe in another post. If anyone knows where to get the dolsot (stone bowl), do leave me a note. Mixing your own grains is certainly a lot of fun. Just don’t get carried away and end up mixing too many. Five is a good number to keep. But if cost is an issue, mixing three different whole grains is great too. As for the grains, find them at the supermarket. If you can, buy organic grains like I did. 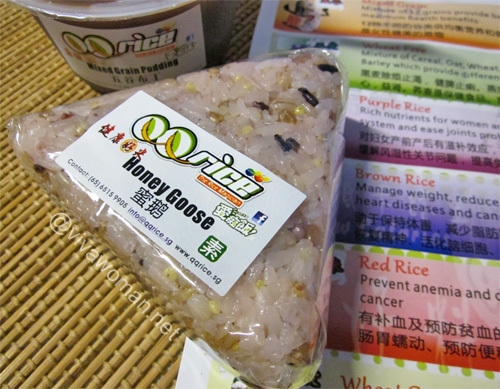 Oh, I recently chanced upon Thai organic jasmine brown rice and am so loving the taste! Finally, cooking mixed grains isn’t hard. Although it’ll be better to soak them before cooking, it’s not necessary. I don’t pre-soak them. The trick is to add more water than you would when cooking white rice. 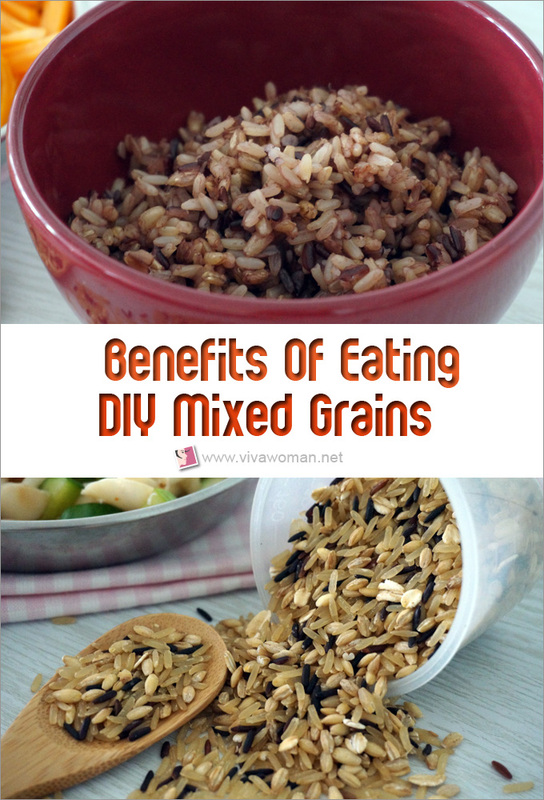 Have you eaten mixed grains? Do you like it? You can buy a dolsot from any Korean grocery store in Singapore. They usually carry them in the kitchenware section. I usually patronize the store in Square2 at Novena. I wish I could eat the bibimbap in your photo everyday but I doubt I have the willpower to eat raw veggies! Thanks so much for that info! I’ve been looking but can’t seem to find at the Korean stores I’ve come across. I’ll check out the one at Square2. The vege in my bibimbap are all cooked…I also don’t like them raw. But can’t eat this daily…twice a week. Takes time to prep. Healthy eating is not about strict dietary limitations, staying unrealistically thin, or depriving yourself of the foods you love. Rather, itâ€™s about feeling great, having more energy, improving your outlook, and stabilizing your mood. If you feel overwhelmed by all the conflicting nutrition and diet advice out there, youâ€™re not alone. It seems that for every expert who tells you a certain food is good for you, youâ€™ll find another saying exactly the opposite. Learn The 16 WAYS TO BURN STUBBORN BODY FAT FAST For Free! Hi Sesame, I love the idea of mixing your own grains and it is so interesting to note that you mention this is actually very tasty! Please can you share your mixing percentages or a rough guide on how many grams of what you added in? Also, when you say slightly more water than cooking white rice, how much would this be? I am keen to try this out! I apologize for not giving percentages because I just went with my gut feel. I think it depends on what you like. You can use 2 types of grains and mix equal portions. I’ll add lesser of the red and black rice and a handful oats. I measure water using my finger so I’ll add about 0.5cm or 1cm more of water with mixed grains with my old rice cooker. But with my new rice cooker, I needn’t add more water. Sorry again I can’t give you exact measurements.